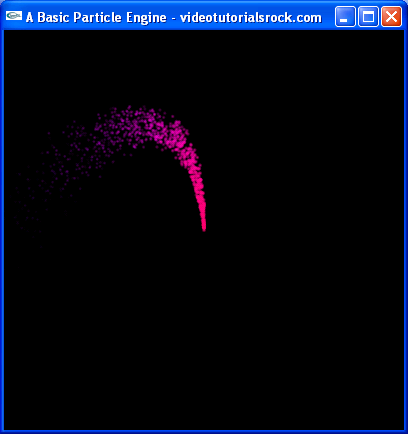 In this lesson, you will learn what a particle system is and types of phenomena it can simulate and will go through one particular particle engine. This lesson is in "Part 3: Special Effects". After this is "Lesson 14: Drawing Reflections". Skipping around? That's okay. Just make sure you know the material from "Lesson 12: Alpha Blending" and that you understand Velocity and Gravity.